What are your goals for 2013? Everyone wants to live a happier, healthier, and more fulfilling life — but how do you get there? We’ve compiled a list of 13 ways that the LifeTopix calendar, productivity, and organization app can help you do more. The result? Get more done, reduce stress, and spend more time doing the things you really want to do. After the holidays, many of us are mortified when we step on the scale. Perhaps you can relate and you’re wanting to make better food choices and to maintain a healthy weight in 2013. LifeTopix can help you track your food consumption. For example, you can record and view the calories, protein, solid fats, alcohol, desserts, or almost any other item that you’re consuming each day in a graphical format. As an example, in the LifeTopix Health + Activity topic, you can use the LifeTopix Nutrition Log Forms to view the maximum number of calories that you’ve set to make sure you’re not exceeding this number. Or, if your goal is to eat more vegetables or protein, you can set this too! Ignoring health issues can have serious consequences. LifeTopix includes many features for tracking your health stats. Are you dealing with hypertension and your doctor has asked you to log your blood pressure? Are you anemic and you need to track your blood count? Do you have sleep problems and you want to track your sleep quality? LifeTopix can handle these items and many more via the LifeTopix Medication Log and Wellness Log in the LifeTopix Health + Activity topic. Do you have good intentions about taking your vitamins and prescription medications, but frequently forget to take them or cannot remember if you’ve taken them? With some medications, it’s imperative that you’re taking them each day, and sometimes even at the same time each day. With the LifeTopix Medication Log form in the LifeTopix Health + Activity topic, you can record your intake of vitamins and medications each day — and the log automatically includes the current date and time when you add a medication entry. Are you wanting to start a fitness routine, maintain your current fitness level, or bump your fitness up to a new level in 2013? Perhaps you’re training for a triathlon or planning your first marathon. Or, maybe you want to make sure you take a 30 minute walk with your dog each morning. Whatever your fitness level, LifeTopix provides the flexibility for planning and tracking your fitness. You can use the LifeTopix Activity Log Forms in the LifeTopix Health + Activity topic to set and view any type of exercise you wish — and just like nutrition, you can see if you’re reaching those goals via a graphical format. Do you spend hours planning your family meals and shopping at the grocery store? Do you want to spend less time shopping and more time with your family or friends, catching a game, or spending time on your hobbies? If this is one of your goals for 2013, LifeTopix can help. Many of us are creatures of habit so LifeTopix helps you organize the stores you go to frequently and the items you buy most often. You can add the items that you purchase — along with the seller, unit price, unit, quantity, and total price to your master list of products. Then, simply select these items, add them to your lists, and check them off as you buy them. It’s as simple as that. After the holidays, you might want to put a little jingle back in your pocket. And with the downturn in the economy, sticking to a budget in 2013 might also be one of your highest priorities. The LifeTopix Finances topic was created for just this reason. Not only can you track all your financial accounts, credit card and debit cards, and investment accounts — it lets you record the recur­ring bill pay­ments for all the ser­vices you use and the one-time pay­ments you make. You can view all of these pay­ments on your Expenses Calendar. And you can track the things that you sell, such as through a garage sale or ebay. And, as an added bonus, you can track your online coupons in the Shopping topic to help you save a little extra money. Whether you’re a student or a professional who’s focusing on their personal growth or professional skills, LifeTopix can help you organize and track the things that you need to further your education. If you’re a student, the Education topic enables you to take notes about education, set up projects and assignments, and add the subjects that you take. As a student, you can create a class schedule and associate a location with each of your classes. Or perhaps you’re a professional who’s obtaining a HIPAA certification, taking graphic design classes to improve your design skills, or becoming a fitness instructor — with LifeTopix, you can utilize personal growth categories to help you track your certifications and training in the LifeTopix Education topic. Are you planning to start a new business, write a novel or screenplay, or compose music in 2013? Have you ever had a creative thought related to your job or hobbies, but didn’t catch that idea immediately and then forgot it later? We just can’t predict when a great idea is going to pop into our heads so being prepared through journaling is wise. Mobile devices are amazing for capturing those ideas because we carry them almost everywhere we go. The LifeTopix Notes + Files topic is perfect for this use. You can take notes everywhere you go and if you prefer to use Evernote for note taking, LifeTopix conveniently works with it too. 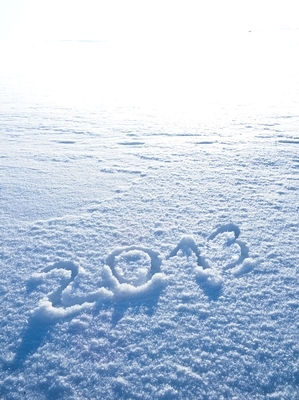 In 2013, one of your goals might be to build business or personal relationships. To build relationships, it’s helpful to record your interactions with friends, family, or colleagues. For example, perhaps you’ve included all your friends’ and family members’ birthdays and you want to ensure you wish them a happy birthday and send them gifts. Through LifeTopix, you can set a reminder, plan the gift you wish to purchase, and automatically add it to a shopping list. Any time you associate a person with an item in LifeTopix, those people are filed under the People + Services topic. The possibilities are endless. You will be the star of your next family reunion. And, LifeTopix works with your iOS contacts so double entry is not necessary. For your well being, it’s a great idea to schedule time for yourself. If you’re the type of person who takes on too much responsibility and needs to share more of it, then LifeTopix is for you. Through the LifeTopix “Discuss” features, you can share your projects, checklists, events, shopping lists, trips, visits, notes, and more. For example, you can create a shopping list and then share it with your spouse. Or you can create a “honey-do” list with chores for your husband. Your spouse can view it via email and then add it to LifeTopix in just one tap. Is your home office a cluttered mess? Do you want to reduce your consumption and accumulation of paper to reduce your impact on the environment? Do you want to lighten your load when meeting clients or going to the office? If so, LifeTopix is for you. LifeTopix works with popular cloud-based file storage systems such as Dropbox, Evernote, and Google Drive so you can store all your items digitally — and then associate those documents in the context of your life items within LifeTopix. Do you have DIY projects that you want to complete such as organizing your closet, remodeling your kitchen, or landscaping the backyard? Or perhaps you’re planning to build a new website? With LifeTopix, you can plan your projects and tasks with ease. The LifeTopix Tasks + Projects topic gives you the abil­ity to enter, orga­nize, pri­or­i­tize, track, and check off your projects’ tasks. Now that you’ve saved money, got more done, built up your client base, got your health under control, finished your projects, and lost a few pounds — it’s time to take a vacation. Luckily, with the Life­Topix Travel + Places topic, you can plan your vacation from end-to-end. You can track the dates, set reminders, make packing checklists, set bookmarks to travel websites, and make note of places you want to visit such as restaurants, golf courses, or tourist attractions. We hope this gives you some ideas of how you can use LifeTopix to improve your life in 2013. Please share and comment! Happy New Year! I live in Australia, can I convert from imperial to metric for this app? Thank you for reaching out to us with your question. All the log units are customizable in LifeTopix. For example you can easily changes “pounds” to “kg” or “miles” to “km”. To edit a unit simply follow the steps below. 1.) Tap on the arrow icon located at the bottom left of the home screen. You will be presented with a list of action icons to choose from. 2.) Tap the system settings icon (the gear icon). This will launch the settings view for LifeTopix. 4.) Tap on “Log Entry Unites”. You will be presented with a list of all the Log Entry units. 5.) To select the Log Entry unit you wish to edit simply tap on the blue disclosure button to the right of the item. (The blue circle with the white arrow). This can sometimes be a bit tricky to tap on. 6.) The detail view for the unit will be presented once you tap on the blue disclosure button. To edit the label for the unit simply tap the green label at the top of the detail view and update the label with your desired value and tap save. I like the app, just downloaded it. I was looking for a planner/organizer/calendar/tasks/lists… everything app! I want to make it my go-to for everything, but some features seem to be missing. I tried to add all the birthdays I need to keep track of, but I had to choose times for them, instead of leaving them as all day. I didn’t want to block off the time by putting in 12:00AM to 11:59PM, so I just went with noon. Plus, I wasn’t able to add tags, or contacts, a shopping list or anything to the “occasion event”. That’s all I’ve really had to complain about so far, but I’m still setting it up, so we’ll see if it stays in my iPad or not. Thanks!!! Thanks for reaching out to us. For events for which you want to manage associated shopping, etc please use an Event (Attending or Hosting type) instead of an Occasion Reminder. Please let us know if you need any additional help, or have any suggestions for us. Video Blog: Raise Your Productivity to a Whole New Level Gifting is Back! Learn How to Gift Apps with iOS 6.0.